A report by Jessica Stewart for My Modern Met. For photographer Omar Z. Robles, a holiday trip back to his home in Puerto Rico transformed into a sobering reminder of the challenges facing the island. Eight years after leaving for New York City, Robles spent an extended amount of time on the island. What he saw was a difficult reality. 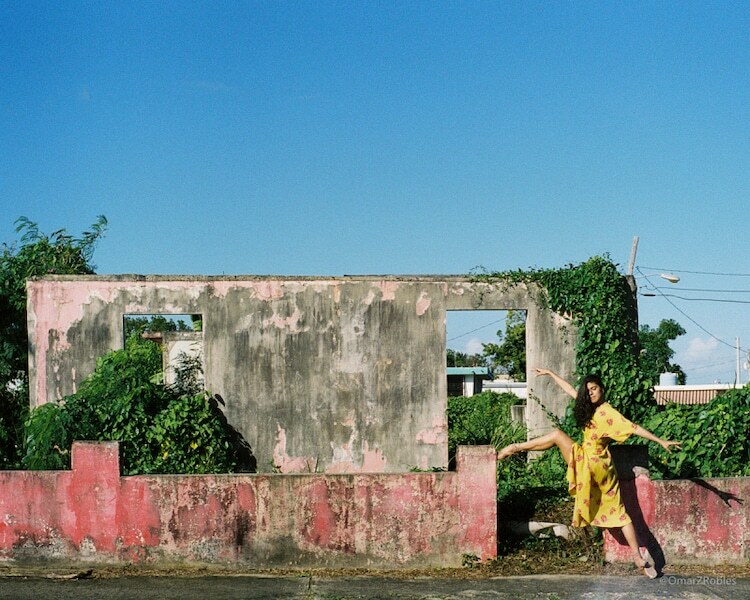 Robles allows his natural environment to guide his creative decisions as a visual artist, placing local dancers in an environmental context that is true to life. 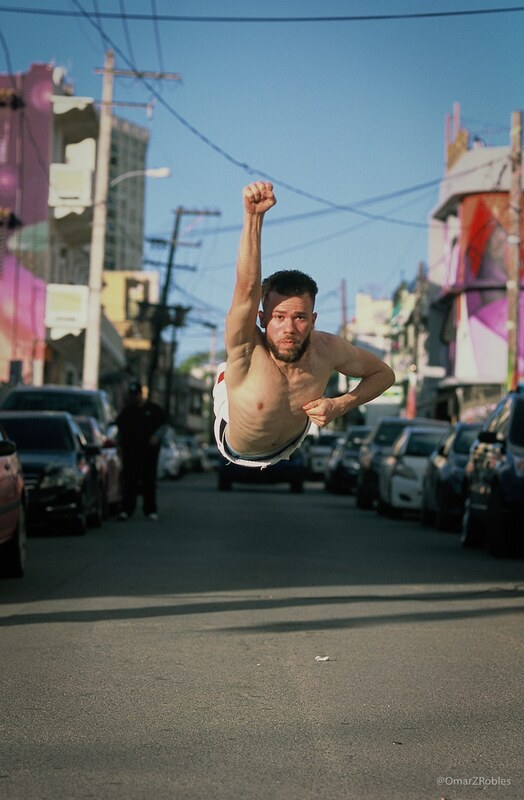 Though Robles has photographed dancers in Puerto Rico several times, most recently after Hurricane Maria, this extended stay allowed him to view local reality in a more meaningful way. Unfortunately, what he witnessed was a slow decline that predates the powerful storm, and this sense of loss permeates his newest photographs. 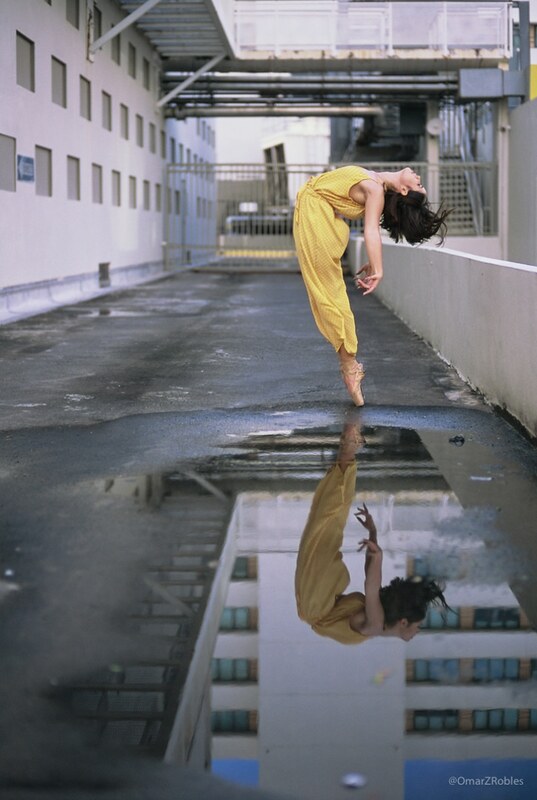 With this, we see dancers, elegant and graceful as ever, situated in abandoned, decaying environments. They pose on stairs leading to nowhere and crouch in the rubble of what was. 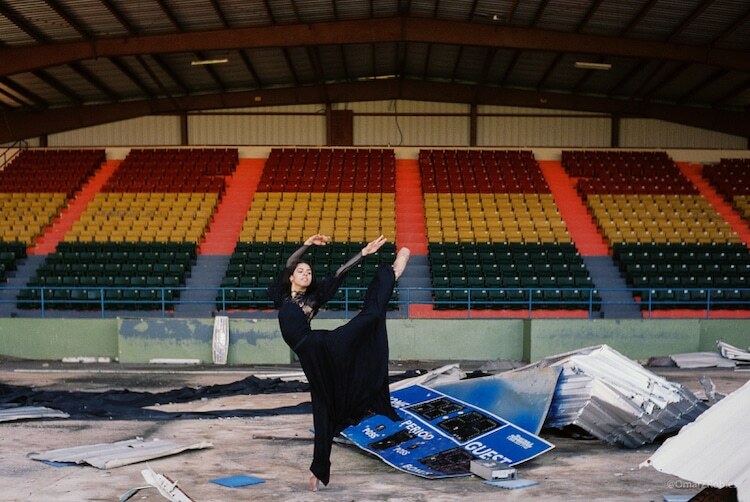 As nature begins to seep into abandoned houses, theaters, and community centers, Robles’ normally uplifting work takes on a dark tone. No solutions in sight, it’s difficult to find a silver lining among the darkness. 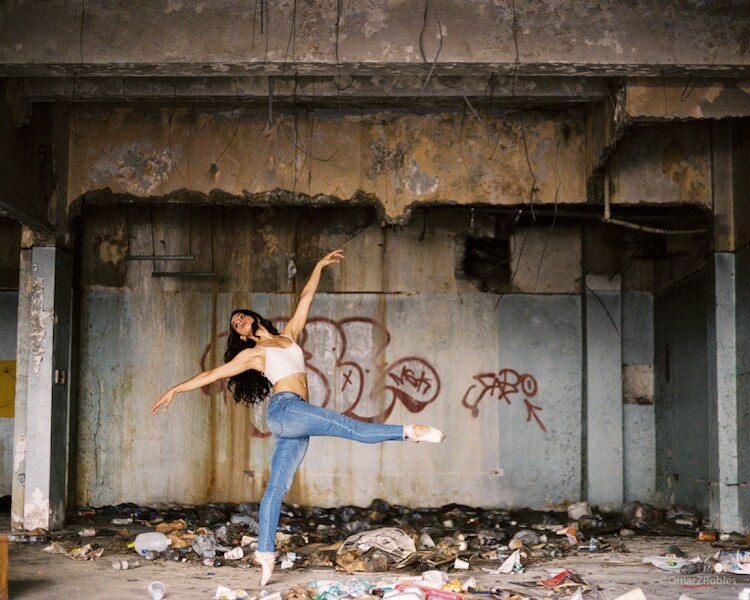 Shot entirely on 35mm film, the series is a direct look at the effects of neglect, with the dancers symbolizing the strength of Puerto Ricans as they hold on to their history. 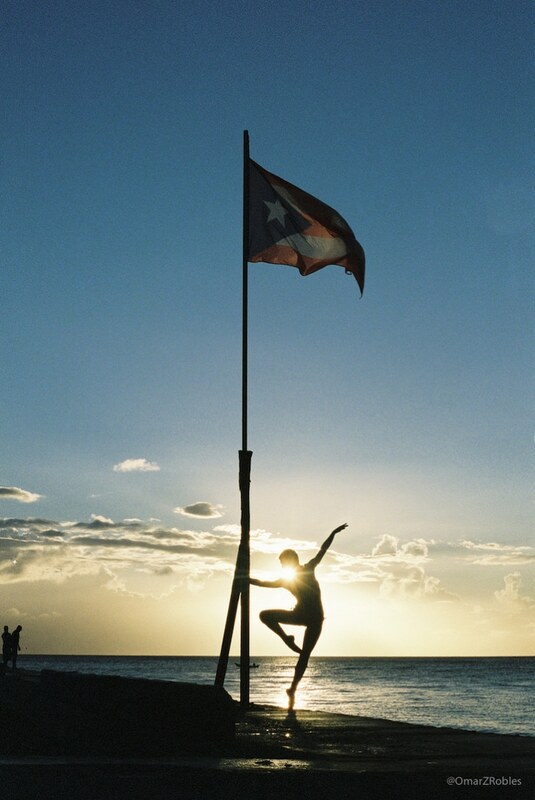 Photographer Omar Z. Robles recently spent a month and a half on his home island of Puerto Rico. While there, he was shocked by the number of abandoned buildings, which speak to larger issues on the island.